The Meliá Palma Marina Hotel - Palma de Mallorca. Golf with hotel accommodation in Mallorca. 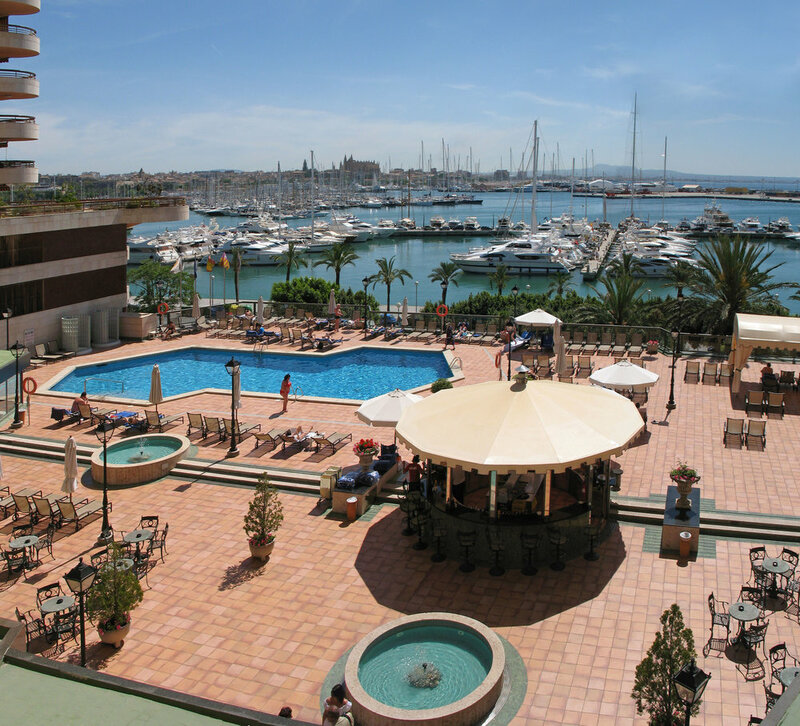 Set on the Paseo Marítimo, Palma's harbourfront promenade, the Meliá Palma Marina (formerly the Meliá Palas Atenea) has views over the marina, and across to Palma's gothic style cathedral. As with all Melía hotels, the Meliá Palma Marina offers a high standard of service, a magnificent spa and all the comfort of a modern and functional 4 star business style hotel. The Meliá Palma Marina offers both rooms and suites, all of which have a private terrace. 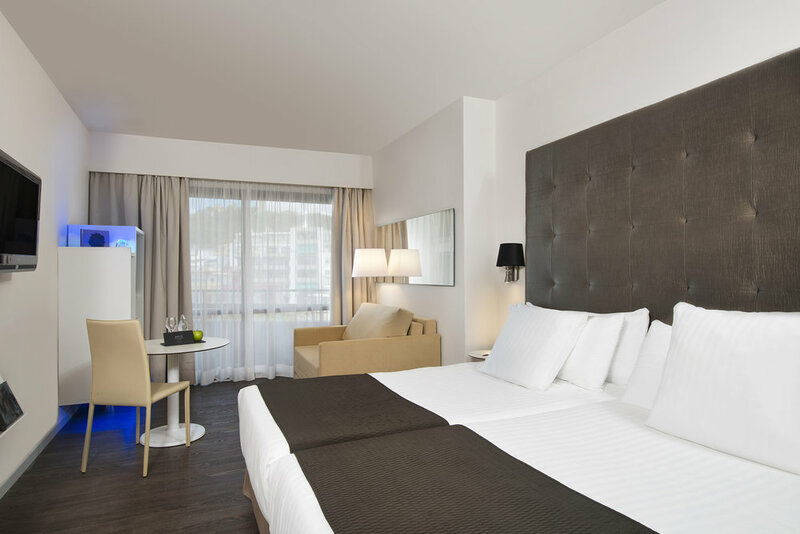 The rooms combine superior comfort with a touch of modern flair. The rooms are equipped with one comfortable king size bed, or two single beds dressed with high quality fabrics, a full pillow menu, 37 inch LCD TV, individually controlled air conditioning and heating, WiFi Internet, sofa & coffee table, and a comfortable bathroom with a full set of Meliá amenities. The YHI SPA, located adjacent to the outdoor pool. There are a wide range of treatments and massages available, together with a hydrothermal circuit with sauna, steam bath, hot and cold shower and dynamic pool with Jacuzzi. YHI Moves, the fitness centre, offers a wide range of equipment including exercise bikes, treadmills, cross-trainers, free weights and an abdominal bench. 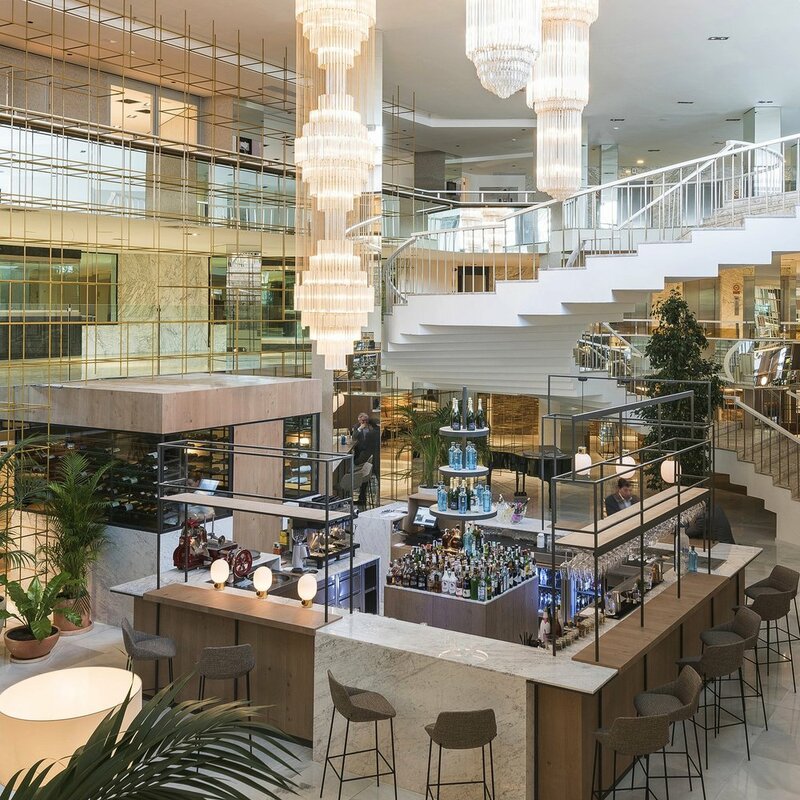 The hotel's Diana restaurant features an international breakfast buffet, and its lobby bar specialises in Gin and Tonics, with an extensive range of sports programming on their wide-screen TVs. There's also an excellent tapas restaurant, Tapa Negra connected to the hotel. The Meliá Palma Marina is a classic business style hotel which offers superb facilities in a good location. It's part of the respected Meliá chain which means a high standard of comfort and service are to be expected. Whilst it is slightly more expensive than its sister hotel the Palma Bellver, this can be justified by its superior facilities, such as its excellent Gin bar. As a business hotel, it has 18 conference rooms available which can accommodate up to 350 people. This means that room availability can sometimes be problematical, and during conferences guests will notice the hotel can become very busy. Some of the lower priced rooms have poor views, although this may not be an issue if you're not planning on spending too much time in your room.